THIS IS A STORY of perseverance. A boy, age 4, lives in Kopaonik, Serbia, a ski town where his parents own a pizza parlor. Tennis courts are built nearby. The boy begins to play. He is serious. Studious. He dreams. He practices endlessly and says he will be the best tennis player in the world one day. A famous coach, the woman who taught a young Monica Seles, tells the boy’s parents they have a “golden child,” one who has been touched by the heavens. This is ridiculous. The odds that this child from Serbia—forever at war, economically crippled, shunned by the rest of the world, with freezing winters, few tennis courts and no tennis pedigree—will become a tennis pro are close to zero. The boy is oblivious to this. He plays on. He moves away from his family, to Germany, trains with other prodigies. He is not like the others. He tells jokes, uses humor to fit in. He wants to be liked. But he does not get caught up with girls or booze or drugs. He would rather stretch. 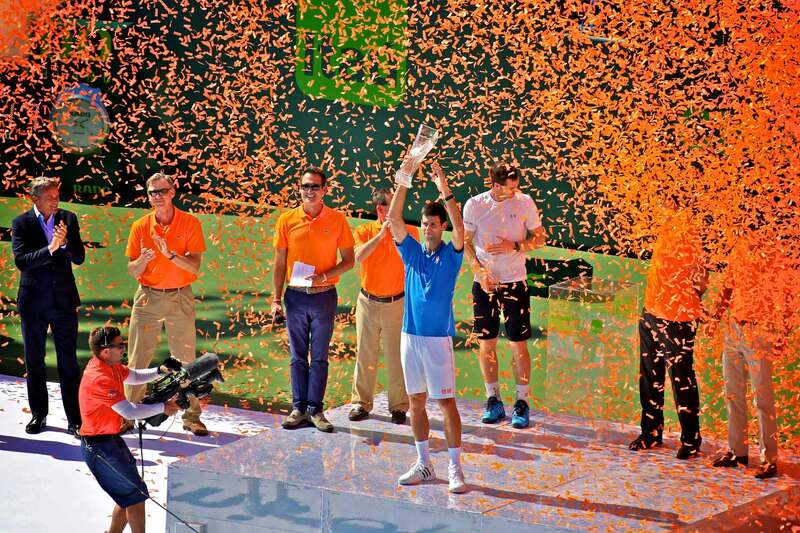 He becomes a top junior, an exceptional pro, a Grand Slam singles champion at age 20. Then he starts to lose. Soon he is stuck, always the odd man out in a sport dominated by two legends. He wonders, Is this it? Is this all he has? He does not accept this. He changes his diet, trains harder, believes more, ignores the odds again. Then, finally, he stands alone. Better than everyone.